A few of our clients’ websites. Please click on an image to see the website live. You know that your website needs to have impact to grab your visitors right away. Attention spans on the internet are short. …however, a website that is visually appealing is only the first step. Once your viewer has settled in, everything on the website must be clear to them and easy to access. One little mistake on the user interface design and they will go elsewhere. This is where our expertise comes into play: 20 years experience in graphic design, 30 years experience in user interface design for databases starting when the world wide web was just a twinkle in the developer’s eye. We understand both the look and feel… how your site appears and how your visitors interact with your website. We create compelling and efficient websites that keep your customers coming back for more. The domain name — your URL — for instance, andarta.com, or myshop.com. If your domain name is already registered, we can move it to your new site. If you have not yet registered a domain name, we are happy to help you with this step. The domain name is the easiest & least expensive part of the process, but also the most important because it is your business identity. 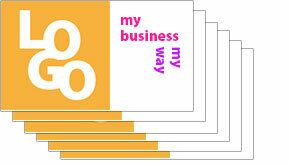 A well chosen domain name will help people find your business for many years to come. The website design, content and coding – everything people see when they come to the website. The content and coding is what we create from materials supplied by you. Text, photographs, videos, an e-store, whatever else you would like on your site. This is where the files live that present your website to your visitors, much like a folder on your computer. For hosting, we recommend either Positive Projections for the very best quality and service (our gold standard), or namecheap.com for a more economical, but still robust and effective hosting platform. There is one more piece that we recommend in these days of aggressive and clever hackers: a yearly subscription to sucuri.net, which will help protect your site and also make it easier and quicker to restore it should the site get hacked. This is not essential, but we have found it valuable. We are being up front here—all sites, from multinational banks down to Grandma’s Saimin are vulnerable to cyber attacks these days. It is a sad but true fact of being on the web. Sucuri provides burglar bars in addition to the regular deadbolts we always install on every site. For regular content updates, you can do them yourself or have us add them for a small charge. For major website revisions, we are always here to help. We know that businesses have websites for one reason—to sell products and services. Contact us today to talk about your project and specific needs.